February is a momentous month in the literary world. For literary presses, it signals the end of an extensive production process for spring titles. Covers are being finalized, manuscripts are being proofread for the last time, and advanced reviews are trickling in. Before you start catching up on that stack of books on your bedside table, play catch up with us and find out what went on this week at Biblioasis. The Ancient Roman month Februarius was named for the Latin term februum, which means purging or purification (via the purification ritual of Februus). Although we could use a Latin refresher, we’re celebrating Februus in full force with our February Blowout sale! Biblioasis the bookstore, located in front of Biblioasis the press, is holding a 40% off sale on the entire used stock for the whole month. We’ve been posting photos of the strange and wonderful books our customers have been digging up during the sale all month on our Instagram (@biblioasis). Here’s one of our customers with his copy of a 6 LP set of audio recordings from the Apollo 11 moon mission. He spotted this interesting piece of moon shot ephemera and Americana, attractively slip-cased with a book by Time-Life, high atop the stacks in Used Science on an earlier visit to the store and picked it up during the first week of the sale. A Martin John review in the UK’s Sunday Business Post featuring the book’s UK cover. Although it comes strong and often, we at the press don’t ever tire of Martin John news. Whether it’s the Giller shortlist, a positive review from the New Yorker, or one of December’s near daily best-of-2015 nods, 2015 was undoubtedly the Year of Martin John. That momentum doesn’t seem to be slowing in 2016. This week, Martin John was published in the UK (by our friends at & Other Stories) to tremendous reviews from The Guardian, The Sunday Telegraph, and The Sunday Business Post. CBC Books listed Anakana’s novel as one of twenty future Canadian classics, along with Giller-winner André Alexis’ Fifteen Dogs and Jeff Lemire’s Essex County—already a classic in our opinion. As if all of that wasn’t enough, The Vancouver Sun is currently featuring the novel for their Van Sun Book Club. Tracy Grimmett Sherlock, arts editor of the paper, put together an all-star group for the discussion: novelist Ian Weir; YA author Melanie Jackson; Julia Denholm, dean of Capilano University; Daphne Wood, director of Greater Victoria Public Library; Monique Sherrett, principal at Boxcar Marketing; Trevor Battye, a partner in Clever Media; and Bev Wake, senior executive producer of sports for Postmedia. As we mentioned in this post’s lede, February is the end of the production process for many spring releases. 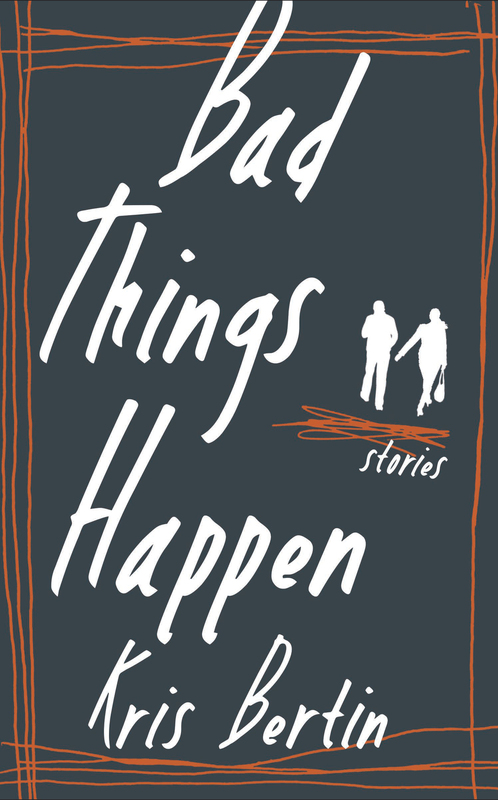 One of titles we’re most eager to let out of the Biblioasis stables is Haligonian Kris Bertin’s debut collection of short stories Bad Things Happen, edited by the inimitable Alexander MacLeod. The book arrived from the printers this week and we’ve begun shipping copies out to media outlets and booksellers in anticipation of its February 23rd publication date in Canada (and July 12th in the U.S.). The good folks at Quill & Quire were the first to review the collection, calling it “brash (in the best possible sense), intriguing, and consummate without being showy, these are terrific stories in a strong, diverse, and fascinating collection.” On top of that, The Toronto Star‘s Deborah Dundas chose Bertin as one of five up-and-coming writers to watch in 2016. We’re proud to announce that Kevin Hardcastle’s debut short collection, Debris, which has garnered raves across the country & two best-of-2015 nods, was published in the U.S. on February 9th. The Winnipeg Free Press called the book “unflinching,” and “impressive for any writer, especially for a first collection… Hardcastle comes close to a masterpiece.” All you American-based fans: be sure to snag yourselves a copy. In the meantime, celebrate by reading “Montana Border” in The Walrus, an aptly themed tale of CAN-US border crossing and one of Debris‘ many gems. In addition to great reviews for Martin John and Bad Things Happen, raves rolled in for Kathy Page’s Frankie Styne and the Silver Man, Marius Kociejowski’s Zoroaster’s Children, and Ray Robertson’s upcoming book of essays Lives of the Poets (with Guitars). Frankie Styne and the Silver Man was lauded by both the Vancouver Sun and Toronto Star. The Sun‘s reviewer wrote that it “offers a terrific showcase of Page’s singular style (with its attractive high-low mixture of genres), quirky unexpected invention, and attention to the nuances of psychology. Mere words on a page, her creations linger in the mind long after the reading’s done.” Heather Birrell, writing for the Toronto Star, called it “a fantastic novel. Character driven, claustrophobic, and deeply weird, it has a haunting, discomfiting quality that lingers with a reader.” We can’t help but agree! One of the first advanced reviews for Ray Robertson’s spring 2016 title, Lives of the Poets (with Guitars), came in from Kirkus Reviews. The reviewer wrote that “[Robertson] brings a good ear and plenty of critical insight to essays aimed at helping readers discover new favorites or hear more familiar music from a fresh perspective … [A] solid … fresh collection.” We can’t wait to see what the rest of the critical world has to say about this tremendously fun book.